Nike Basketball is expanding on LeBron James’ low-top rendition of the Nike LeBron 15 into the summer season. Set to closer out the month of June is this upcoming “Signal Blue” colorway. Dressed in a Signal Blue, Thunder Grey, and Black color scheme. This Nike LeBron 15 Low features a BattleKnit upper constructed in a mix of Blue, Grey and Black tones. A White midsole adds for nice contrast while sitting atop an icy translucent outsole. Look for the Nike LeBron 15 Low “Signal Blue” to release on June 30th at select Nike Basketball retailers. The retail price tag is set at $150 USD. 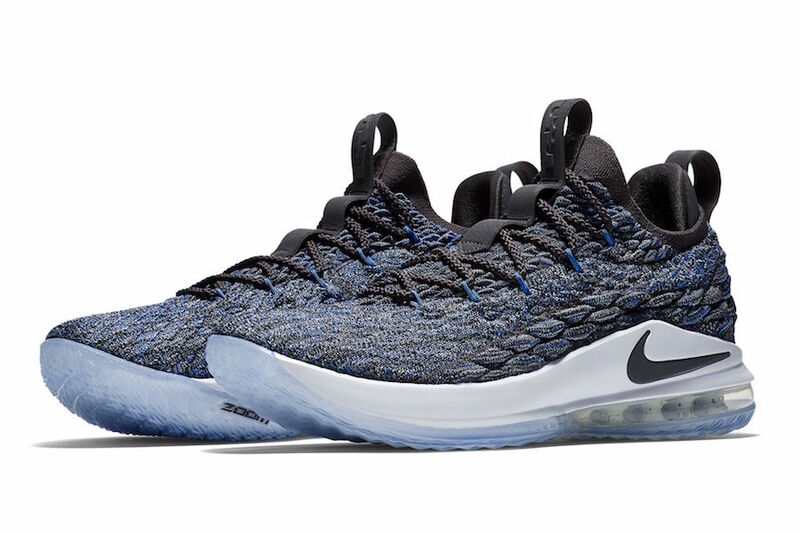 UPDATE: Nike releases official photos of the “Signal Blue” LeBron 15 Low. UPDATE: Ahead of its original release, the “Signal Blue” Nike LeBron 15 Low is now available at Renarts.